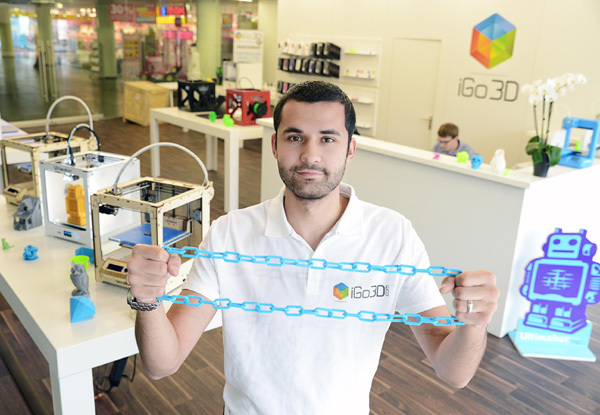 We recently had the pleasure to interview Michael Sorkin, the co-founder of iGo3D, Germany’s first 3D printing shop. Discover Michael’s fascinating journey into 3D printing which started by him sneaking into the university of Bremen’s product design department just to take a peak at a 3D printer. Fascinated by what he saw, the idea of 3D printing didn’t let go of him. Today, Michael and his team are on the brink of international expansion and are planning to open 3D print shops in Russia and Turkey. Michael is a super enthusiastic 3D printing advocate, a true entrepreneur and genuinely nice guy. It was a great pleasure interviewing him since he openly shared his views on the 3D printing industry. But, enough from me, I’ll let Michael speak for himself now. 1. Could you please briefly introduce yourself and your business? Michael Sorkin: My name is Michael Sorkin and I’m originally from Moscow, Russia but I have lived in Germany for about ten years now. Together with my friend and business partner Tobias Redlin I co-founded iGo3D, Germany’s first 3D printer shop. We opened our first store in Oldenburg on September 7th, 2013. 2. How did you get involved with 3D printing? Tell us about your personal journey that brought you to 3D printing? Michael Sorkin: After completing my A-levels in business administration, I decided that I was very interested in the topic and that I wanted to continue my studies in the fields of business. So, I applied to university and I got accepted. During the second semester, I met Tobias and we quickly realized that our visions about the future and the visions of our lives were very similar. We both agreed that we didn’t want to follow the beaten path to becoming employees that many of our fellow classmates were on. As the university was in Ingolstadt, Audi (the car company) was a major sponsor, the same as companies like KPMG or Ernst & Young. These are high profile companies that offer high starting salaries so naturally most students wanted to work for them. But after two semesters, we started looking left and right and we thought that it was so dumb for us to continue to battle to get a job in one of these companies; so we said, “Let’s think how we can do something different.” We figured we were young and had nothing to lose. However, we wanted to create a t-shirt company with a twist, with a different approach: we wanted to make “fair” t-shirts. We sourced the basic white t-shirts via a foundation guaranteeing that they were produced under the right ethical and environmental conditions. The printing was done with biodegradable colors, again to ensure that our production was as environmentally friendly as possible. The designs, to be printed on the t-shirts, were sourced via design contests. Every month we launched a contest where artists and designers from across the globe submitted their artworks. It was the community that voted for the winning design. The artist behind the winning design got a share of each sale and on top of that we donated some of our profits to the WWF (World Wildlife Found). We were quite successful, we sold a couple of thousand t-shirts per year and managed to develop quite a fan base. But, the t-shirt business is tough, there is a lot of competition. At the time, we couldn’t afford to spend money on advertising so we had to figure out creative ways to turn our company into something bigger. I called this my REAL university because I learned way more on topics such as economics, business administration and management in one year than I did during my entire time at university. Actually, I still haven’t quite finished my studies and with the current growth of iGo3D, I have put university on the back burner. After a year, we actually moved to another city, we moved the company from western Germany to the north of Germany, to Oldenburg, where we are located right now. One day I heard from my girlfriend Mailin that her university had gotten a 3D printer. As I was always very interested in technology, I asked her “Can I go and take a look at it?”. She said “No, that’s not possible, it is only for the students who study product design.”. Apparently, nobody was allowed near that machine as it was deemed a delicate device and the university was afraid that it might be damaged. When the professor came in I asked him, “Ok, what’s going on here? Why is this so special?” He said, “It’s not about money; it’s about time. We made—we invested time in this machine: we wanted a 3D printer to make things but, we are not able to buy a machine corresponding to our needs. It was not the right build volume; it was not right specifications; but they managed to build it up: the students assembled the machine on their own and it was working; it was working actually very fine. This was the first contact I had with 3D printing. A machine for making things, available for less than one thousand Euros. Today, I obviously know a lot about 3D printers but at that time, I knew nothing about machines like the Ultimaker that was already selling well in the market. The machine standing in front of me was the first 3D printer I had ever seen and I was fascinated! Back at home, I called Tobias and I told him how this was the last day that we were printing t-shirts. 3. 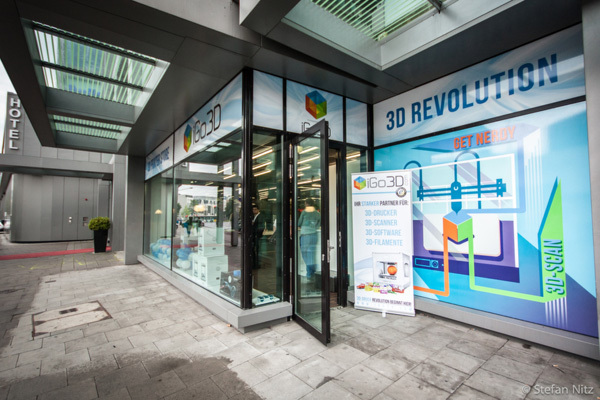 Why did you decide to open iGo3D, a high street 3D printing retail shop? What is it that you offer that people cannot find on the internet or elsewhere? I like to describe the mindset of the general public as “Where are my 3D glasses?”. When we opened our store in Oldenburg a lot of people visited us and asked “Where are the 3D glasses to see the 3D effect?” (laughs). They didn’t know enough, they saw the machines, they saw all the 3D printed parts but they thought we were printing on paper and that it would take glasses to see the 3D effect, like for 3D movies in the cinema. As iGo3D targeted consumers, we knew we had to address this issue and we were thinking hard about how to approach this market. German consumers are quite sophisticated and like to get knowledgeable about products before making a purchase: they like to read about the product, they want to have support manuals in German, they require good after sales support etc. If those conditions are not given, they won’t buy. So we felt that opening an online shop, selling these devices with price tags north of 1000 Euros just wouldn’t work. And that’s why we said “Let’s start with a shop, a retail shop in Germany”. 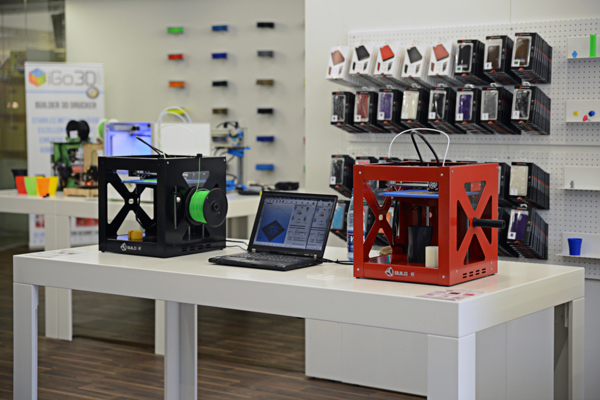 Though it was not our goal, we became the first 3D printing retail shop in Germany. 4. You opened the iGo3D shop some four months ago. How has business been since then? 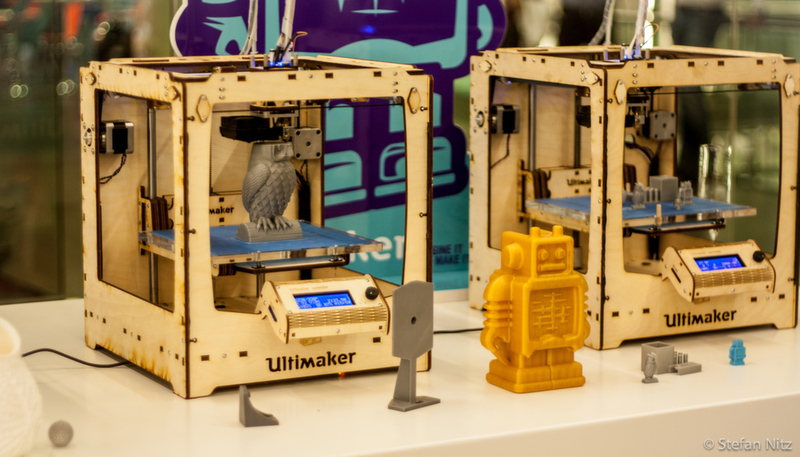 Is 3D printing already a broad enough consumer phenomenon to make a high street shop such as yours viable? Do you have plans to establish the brand and grow beyond your current location? Michael Sorkin: So far everything has worked really well for us; ever since the opening we had a lot of media coverage, both national and international. Only last week, we had television and newspapers here and next week “Arte” (TV station) from France is visiting us to cover 3D scanning of people, another service that we are offering. All of this has helped us greatly in building our brand. iGo3D has been growing fast, we started out with the founding team of just three and now we are already eleven people in the company. The shop itself, has done well too. It has a big glass front and when we are open until late in the evening this is the only shop in the city center, which glows. There is plenty of finger and nose prints of people who are looking inside the store when there’s work going on. Every day you have new customers; you have new adventures; you have a new experiences and it’s going on and on and on. We continue to develop the shop as well: we want to have as much of the shop equipment 3D printed. So we don’t only print models for showcasing, we print things we need around the store. For example, we have our 3D printers print their own prize tag or product specification tag. Early in 2014 we plan to open our next store in Hannover. It will be a bigger shop in the city center of Hannover, but with the same concept: high quality products and high quality services. Beyond that, we are working on expanding internationally: we have plans to open a shop in Moscow, Russia and one in Istanbul, Turkey. 5. Imagine that I am a total beginner in 3D printing. 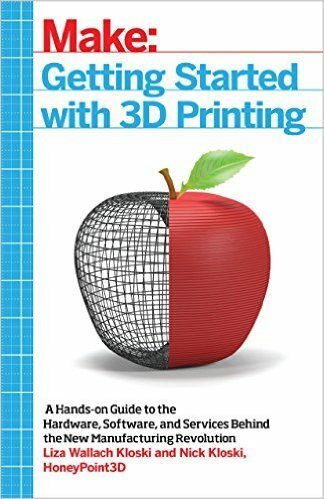 Is iGo3D shop a good place for me to start learning about 3D printing? How can you help to get started in 3D printing? Michael Sorkin: Yes, absolutely! From the start, it was our goal to invite people to come to the iGo3D store and to get to see and touch these products. We aim to take people’s fears and show them how easy, and how fun it can be to have a 3D printer to make 3D prints. It works very well! I believe that the design of our store helps greatly in introducing consumer to 3D printing. We took a page from Apple’s book when designing our store: we put the devices in plain tables. This works well since it allows the device to attract all the of the customer’s attention rather than letting lots of 3D printed parts distract them. The customer sees the product and it is very easy to explain to him/her what it is all about, it stays simple. This is totally in line with iGo3D’s philosophy: Provide an easy and simple solution for high-quality 3D printers. People are coming to us, asking: “I want to make this; I want to make that; I want to scan this; I want to scan that; please provide me a solution.” We’re not about selling the highest priced product: we’re all about making the best 3D printing package for a consumer. People need a solution, and that can only be provided by a salesperson who knows their trade. That’s why we have a team of highly skilled sales people and this gives us an edge over any online shop. On top of that, we are lucky to have the exclusivity for the German-speaking markets of brands like Ultimaker and the PrintMate 3D printer. My first piece of advice however, is for people to come and visit our store. 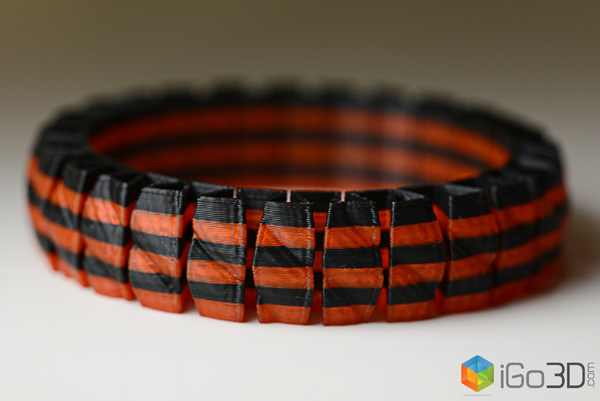 In early 2014, we will offer weekly 3D printing workshops, for free! We are working with several partners, like the mStore for example, which have more space. We host the workshop for free and they give us their rooms for free, so it is a real win-win situation. The alternative is for people to call our sales hotline, although we rather refer to it as “Experience Hotline”. People can call us and explain what they want to do. A lot of them ask “What is the best way of starting in 3D printing?”. Should they wait? This is actually a very interesting question: should they wait for another year and the next generation of 3D printers? There is certainly people out there who want a 3D printer but there may simply not be a printer matching their needs. So we tell them “You can buy a 3D printer, but it probably won’t meet your needs 100%. It is better that will look around and wait a bit, because there are so many things going on right now”. We don’t go for the hard sell, selling is actually only 30% of our sales conversation. The other 70% is advising people: we want to make sure they understand the advantages, disadvantages, limitations and capabilities of the machines they are considering. People may actually end up buying their 3D printer somewhere else and we actually don’t care. For us, it’s important then that entire Germany knows about 3D printing; this is like a movement—a movement! 6. Can you describe the typical customer who is interested in 3D printing? Is there even such a thing as a typical iGo3D customer or do you see a broad spectrum of people getting into 3D printing? Michael Sorkin: We made an analysis of the people visiting our store and what we found is that about 60% of people entering the store never heard of 3D printing. This would be people fitting into the “Where are my 3D glasses?” category that I described earlier. These customers may just enter the store because it looks interesting. However, once we explain them what 3D printing can be used for they may turn into buyers. We have had people who said: “Oh! I’m into scale modeling and I could actually apply this to my hobby”. Another 5% of customers are already users of 3D printers and they stop by to either buy a new machine, filament or other accessories. Then there is another 10% of visitors who come to us with full solution requests. These customers usually don’t just want to buy a printer, they need a full package consisting of a 3D printer, a scanner and a software. The remaining 25% of customers ask us for a service: they may want to print something or they want to scan something. Looking at the actual buyers (not visitors), 70% are professionals. The professional segment comprises all types: small companies, big companies, huge companies and freelancers. The remaining 40% are non-professional users: these are the scale model makers; people who want to use their 3D printers to make phone cases, toys, souvenirs for their friend and family. It is our goal to reach an even number of professional and private customers. This is not a financial goal but rather a stretch goal for our own motivation that we intend to reach by the end of 2014/early 2015. The potential is certainly there: we see a lot of interest from students; we see a lot of interest from schools. 7. What type of 3D printing projects do your customers typically do? Can you give us some examples? Michael Sorkin: We see a real broad spectrum of projects that people are tackling with their 3D printers. We have students from product design and architecture who want to print prototypes of their designs. We see scale modelers who want to make things like small ships or airplanes. Other than the consumer applications we also get to work on a wide variety of projects for our professional customers. We recently had the German equivalent of NASA approach us for help on one of their projects. We also have people from medical institutions and surgeons who want to print bones. 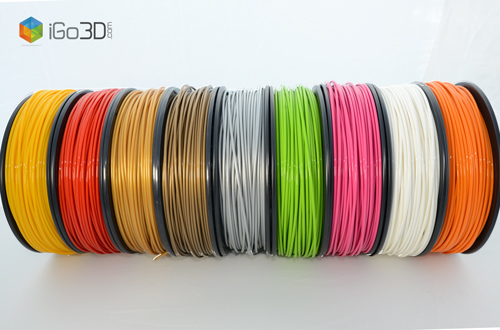 So there is a huge variety of projects and we try to stock the equipment and software required to help all of our customers to get their 3D printing projects done. 8. 3D printing is only the output part of the 3D creation process. In how far do you get involved in teaching beginners about generating inputs (3D modeling, 3D scanning…)? Michael Sorkin: You are absolutely right! This is the question that people always ask me when I talk to them about 3D printing. I’ll share with you my point of view and the answer is actually very easy. I always tell people they have three options: the first one is to download models from the internet. You just download from an online database and you start printing. This is the easiest and fastest way to get started in 3D printing. We are actually working on our own platform right now and I hope we’ll be able to launch it over the coming months. The second option is to scan: you just use a Kinect or use an Artec Scanner and generate your 3D models that way. The third option is 3D modeling: 3D modeling is becoming easier every day. 3D software and 3D modeling software is a huge market in its own right. This market is still in its early stages and it is actually quite some way behind the 3D printing technology. Personally, I use Google Sketchup and it works just fine. I discovered it when my girlfriend’s sewing machine broke and we couldn’t find replacement parts. I decided to make a replacement part using the 3D printer and started looking for 3D software to model the part. That’s how I discovered Google Sketchup and I found that I could learn how to use it very fast – and I am not a professional. It is a plain, simple modeling tool but there is others out there like 3D Tin or the Autodesk Suite. These are the three options I always tell our customers about. My advice is to start with one of the free softwares like Sketchup since they are easy to learn and obviously don’t cost you anything. Should your skills outgrow the capabilities of the free software, you can always upgrade to one of the professional 3D software packages. 9. 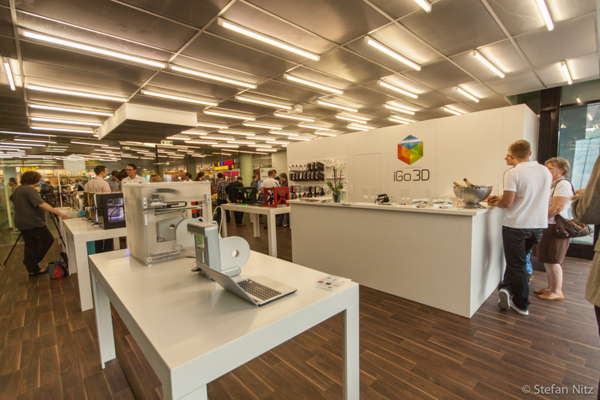 How does iGo3D see the future of 3D printing, more specifically consumer 3D printing? What is hot in 3D printing right now? Michael Sorkin: 3D printers will continue to become cheaper though I believe that prices are already ok right now. A price of under two thousand Euros for a high-quality printer is absolutely fine. Of course, to reach an even broader market it will help to have a high-quality machine with a low price. 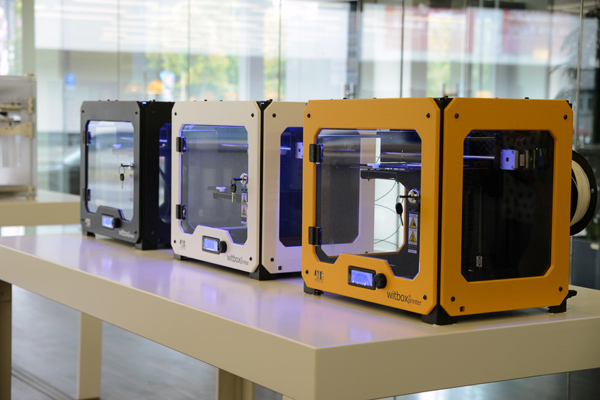 I think Ultimaker can deliver such products and they probably will do so. I’m not sure if they will, but I certainly hope so. What I really hope for is for the 3D printer manufacturers to deliver a good all-in-one package. This is what I love and this is what we need: an all-in-one package from a manufacturer that combines an affordable and easy-to-maintain 3D printer with a good software package. Software is an area with lots of room for improvement, I beg for a year of excellent software. Another really interesting thing right now is materials: new rigid materials, flexible materials, water-soluble materials are entering the market. This will also be an interesting area to watch in 2014. 10. Anything else that you would like our readers to know? Michael Sorkin: This is more personal: you have to do things, and if you won’t do things, you will never reach your goals. It is about opening new chapters in the book: if you have something in mind (it doesn’t matter if you want to build a new machine, if you don’t know about technology, or if you want to create a new service), think about it and then do it. This is the easiest time ever for making things! We learned in the t-shirt market, and we learn every day at iGo3D; we’re growing every day. Every day, there is a new step for us—a HUGE step: a new goal; a new aspiration; and a new experience. The goal for all companies and the goal for the whole consumer 3D printing market: DO IT! DO IT: there is nothing to loose! 11. Where can people go to find out more or stay in touch with iGo3D? Michael Sorkin: They can stop by the store, they can write to us, they can call us. We are easy to find (I hope) so don’t hesitate to get in touch with us! very interesting project. thank you very much for an enlightenment information. as a small shop.. for students and general public. do i need to have software knowledge to provide public service to use equipment ? 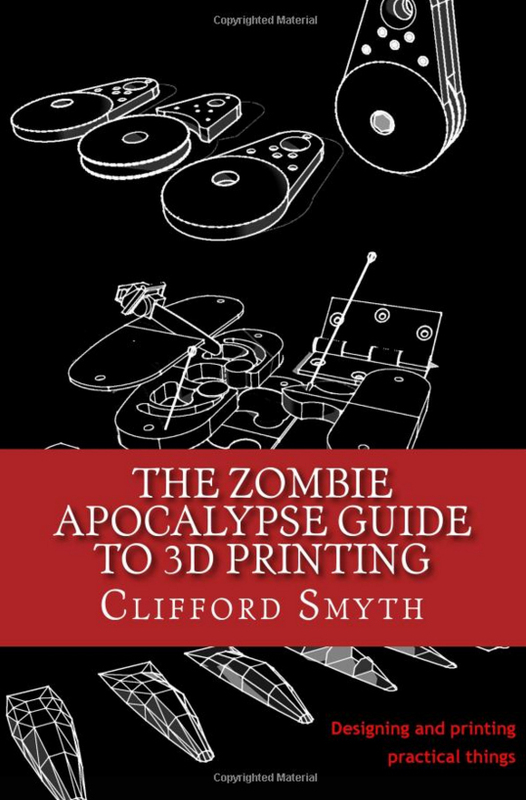 You would certainly need basic knowledge to provide 3D printing as a service to the public. However, this can be learned by anyone who is willing to invest a bit of time. There is some good literature out there to help you as well, see our resources pages. 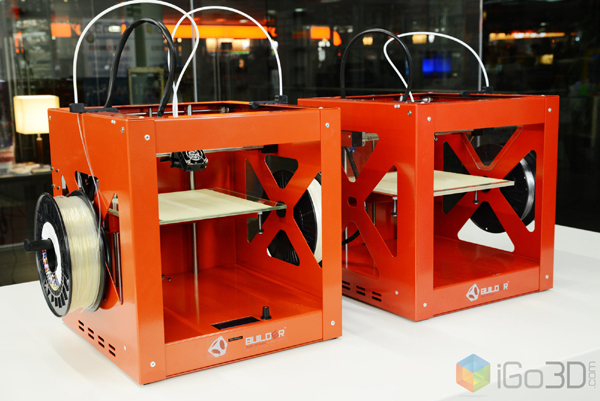 In view of the equipment cost, you can get a home 3D printer for below 1000$, more advanced machines are available around 2000$. Feel free to drop us an email for further information.